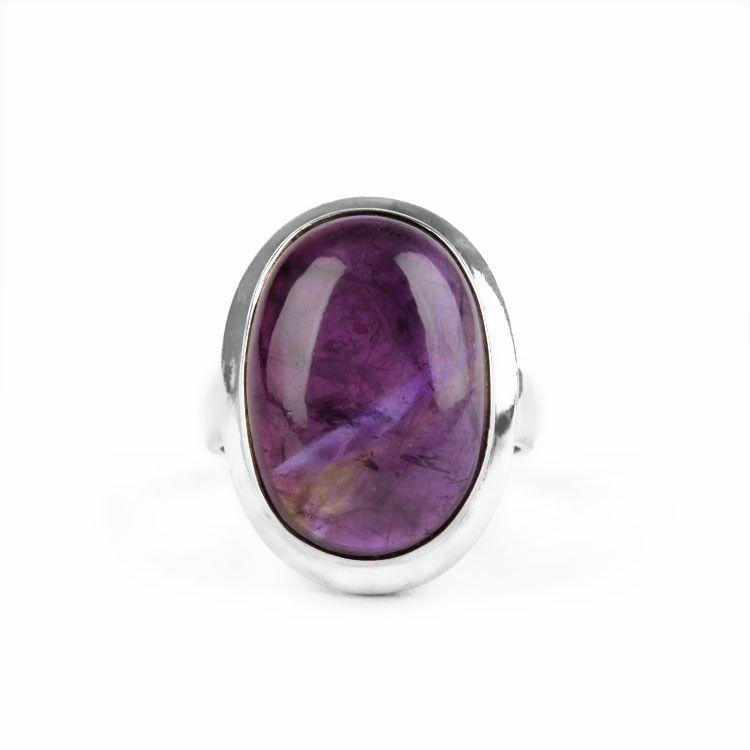 This purple gemstone ring was hand-crafted with a genuine Fluorite stone (about 7/8" long and 5/8" wide) and a thick band of sterling .925 silver. 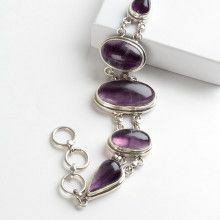 Fluorite is beautiful and fun; it goes from deep, almost black purple, to a lighter purple in the light. 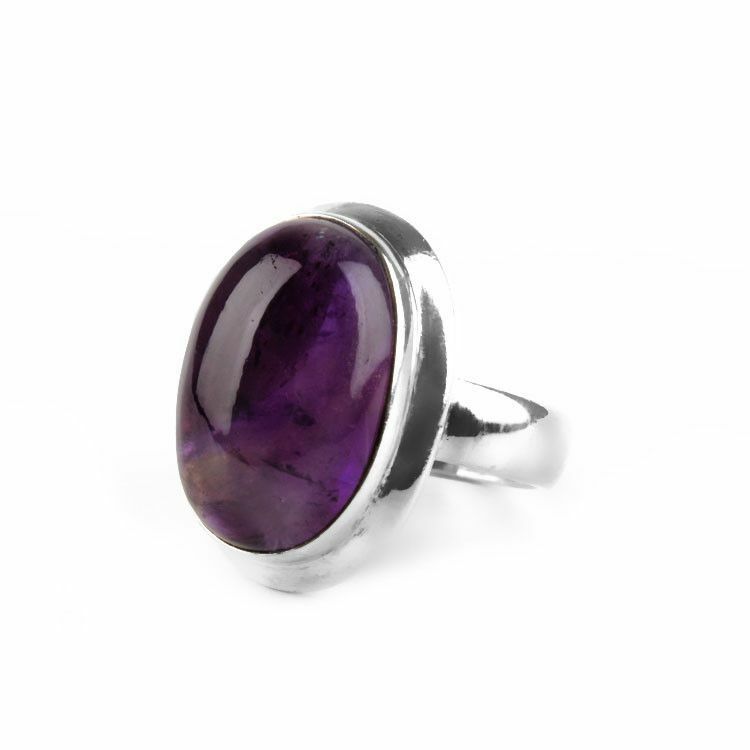 The classic oval shape gemstone ring will never go out of style. 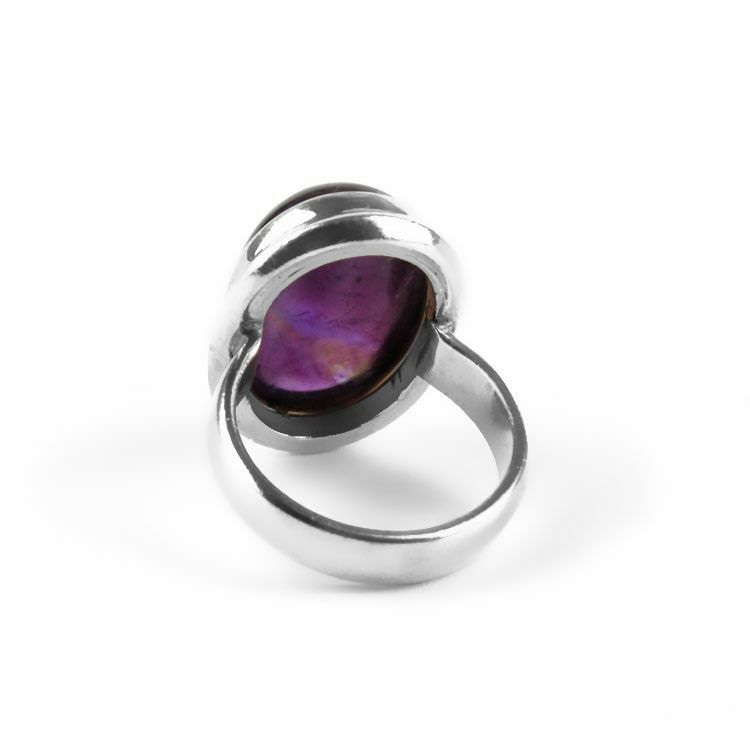 This 1" long ring is unisex. About 7/16" height off finger. 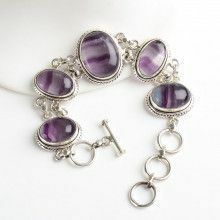 Stone measures 7/8" x 5/8"
Face measures 1" x 3/4"